It’s easy to get insulation wrong, in fact, many professionals have for years. It's either the wrong type of insulation for the application, the wrong installation procedure, or the insulation products didn’t perform as advertised and so on. You get the picture. Halco is an insulation and energy expert. We know the ins and outs of insulation – all kinds – and we can guide you to the right choices. With some simple insulation upgrades around your home you can live more comfortably, everyday! We’re also a proud member of the nation's largest network of home energy conservation dealers--Dr. Energy Saver. As an authorized Dr. Energy Saver dealer for The Finger Lakes region, Halco receives ongoing training, tools, and resources that benefit our clients. Our service area includes Rochester, Ithaca, Syracuse, Webster, Auburn, Fairport, Pittsford, Cortland, Canandaigua and other neighboring New York areas. See our entire service area! Contact us today for a no cost estimate for home insulation or for any of our other residential energy improvement services. Do you have cold floors, drafty rooms and high energy bills? Your energy woes could be due to a number of different problems, including poor insulation, air leakage, an inefficient HVAC system and more. Our home energy assessment can help diagnose the problem so that we can find the right solutions for your home! Halco uses all forms of home insulation, including various loose-fill fibers, batts, foams, foils, tapes, and sealants. Products include cellulose, fiberglass, rigid foam boards made of various polymers, expanding and non-expanding injection foams, and reflective films and foils. Our installation techniques include dense-packing, spray in place, injection, blowing-in (such as blown-in insulation) as well as convention fastening methods. We know the best insulation – or combination of insulation materials – to use for every application. Eric was very polite & knowledgeable. Dave and Jim were excellent, very professional and personable. Bill was also very helpful with our questions - keep up the great work. We noticed the difference in the warmth of our house and a decreased humidity level immediately. Thanks. Both individuals timely, polite and left work site clean. Matt was professional and very capable. Plus - a FUNNY GUY! Very careful worker - a perfectionist! Great! Mr. Mayo explained what would be done, was thorough and found a gas leak in the NYSEG. He told me how to contact NYSEG. Did you know that heat moves three ways? Heat transfer, is a lot more complex than most people think. Knowing how heat moves is helpful if you want to keep it inside your house when it’s cold and outside your home when it’s hot. You don’t have to be a physicist either. There are three words to remember: conduction, convection, and radiation. For insulation to be effective, it should stop at least two and sometimes three modes of heat movement. When we think about insulation, we typically think of the types that stop the conduction of heat. That’s where heat transfers from one side of a material or an assembly (such as a wall) to the other. R value is a measure of the resistance of a material to the conduction of heat. An inch of cellulose, for example, has an R value of about 3.8; an inch of polyurethane spray foam insulation has an R value that’s over 6; for a single pane of glass, it’s less than 1. Convection moves heat via currents of air. If the air inside your home is heated but can leak out through a multitude of gaps, all of the conductive insulation in the world will not keep your home warm. Just think how you’d feel on a cold day with your coat open! To insulate against air leaks, you must zipper up the gaps. Called air sealing, it is really a form of insulation that stops or slows convective heat loss. Beads of caulk or spray foam insulation are commonly used materials to stop air leaks. So is weather-stripping. Radiant barriers stop heat in a completely different way. Radiation is how the heat of the sun reaches the earth. It travels as energy until it strikes a surface and is converted to heat. All bodies radiate heat to one extent or another. Shiny foils are typically used to reflect or reject radiant heat energy, keeping materials cooler. Although they do not have R values to speak of, they are insulators nonetheless. Radiant barriers are typically used with other forms of insulation to “shade” a material from radiant energy. If the energy radiating form your roof shingles on a sunny day is rejected before it can reach your conductive insulation (e.g. 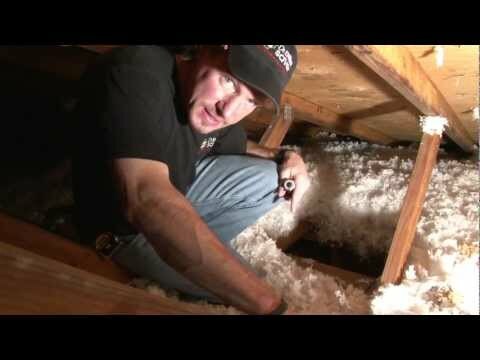 the rigid foam board between your rafters), less heat will enter your attic. With an insulation upgrade from Halco, you can save energy and money while living comfortably! Remember, insulating your home provides a double benefit. It keeps heat inside your home in winter and outside in summer. The attic is a good place to start. 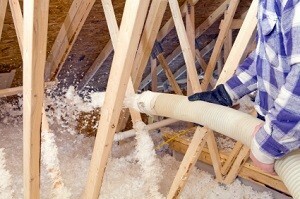 Installing insulation in the attic is one of the easiest ways to improve the comfort and energy efficiency of your home. Halco is the area's trusted insulation company, and we are here to make sure you get the most out of your energy-saving investment. Call at 1-833-844-2622 or contact us online to set up your FREE insulation evaluation and a no cost home insulation estimate or one of our whole-home energy assessments in New York, which includes Ithaca, Rochester, Syracuse, Geneva, Penfield, Brockport, Hilton, Spencerport, and more. Commercial assessments would start at $350 and would need to be custom priced based on the size of the facility.